In 1985, a Magnetic spool is found inside a Meteorite fragment in the Gobi Desert during the construction of a Dam, thought to be a fragment from the Tunguska meteor that blew up over Siberia in 1908. Analysis show that its extraterrestrial in origin and not of human manufacture. After further analysis, they conclude that the spool is from Venus. 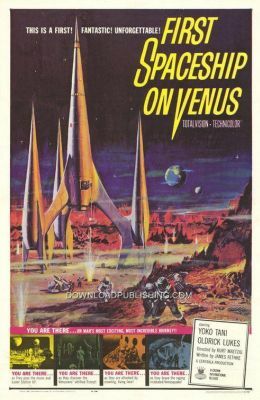 The Scientists ask the government to point their Radio Telescopes at Venus to see if any activity can be heard. After hearing only silence, they prepare for a Mission to Venus to see if there is any life. During the flight, they decode the magnetic spool, which is a recording device used by aliens during their mission.